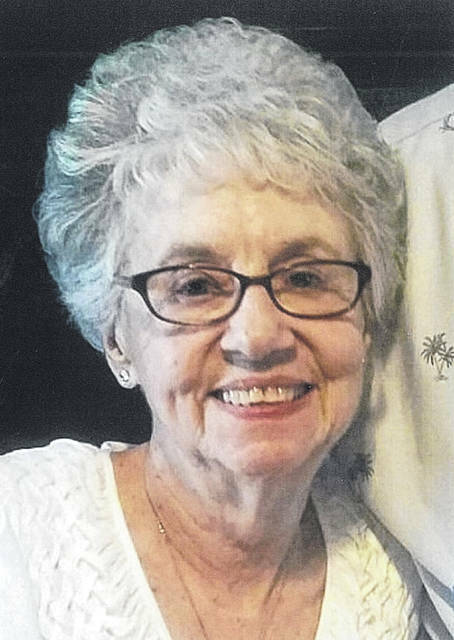 URBANA – Irene LeMaster, 85, of Urbana, went to be with her Lord and Savior Jesus Christ, Saturday, September 8, 2018. She is preceded in death by her parents, Curtis and Dixie Blair; her son, Allen LeMaster; sisters, Sue McLaughlin and Betty Jean May; and brothers, Jess Blair and Burnett Blair. She is survived by her loving husband of 65 years, Robert LeMaster; her daughter, Denise (Steve) Thornburg; sister, Janet (Robert) Jones; brother, Samuel (Judy) Blair; sister-in-law, Marjorie Jo Holbrook; grandchildren, Matthew (Jody) Thornburg, Megan (Ryan) Lewis; great-grandchildren, Beck Elliott Thornburg, Ridge Matthew Thornburg, Molly June Lewis and Ellery Ruth Lewis; numerous nieces and nephews who love her dearly. Irene was a graduate of the Class of 1951 from Oil Springs High School in Kentucky and was a member of the Faith Fellowship Church. Family will receive friends at the WALTER & LEWIS FUNERAL HOME, 642 S. Main St., Urbana 6-8 p.m. Tuesday, September 11, 2018. Funeral services will be held at 11 a.m. Wednesday, September 12, 2018 in the Faith Fellowship Church, 236 Bloomfield Ave., Urbana, with Pastor Mike Maurice officiating. Interment will be in Highland Memorial Cemetery, West Liberty.